The New York Sheep & Wool Festival is an amazing, if occasionally overwhelming, experience. Unless I get swept up in the frenzy of trying to snag a Jennie the Potter mug (which depends on who I end up traveling with to the fairgrounds), I enjoy taking in the beautiful foliage, eating cider doughnuts, admiring all the knitwear and spending time with my friends. Of course, I also do some serious shopping. 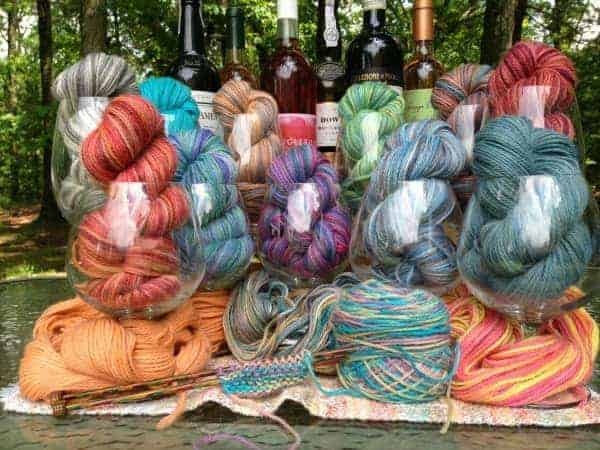 While Friday night’s trunk show might put a little dent in your Rhinebeck budget, this will help: four Indie Untangled vendors — Bijou Basin Ranch, Dirty Water DyeWorks, Hampden Hills Alpacas and Melissa Jean Design — are offering 10% off to trunk show attendees (if you score one of the goody bags, you’ll get a 15% off coupon from Bijou Basin). The coupon will either be in your goody bag or in a paper bag, along with your free raffle ticket. Please note: I will be using the RSVPs to give me an idea of how many coupons to print, and they will be available while supplies last. RSVP on the event page and arrive on the early side if you would like to ensure that you get one. 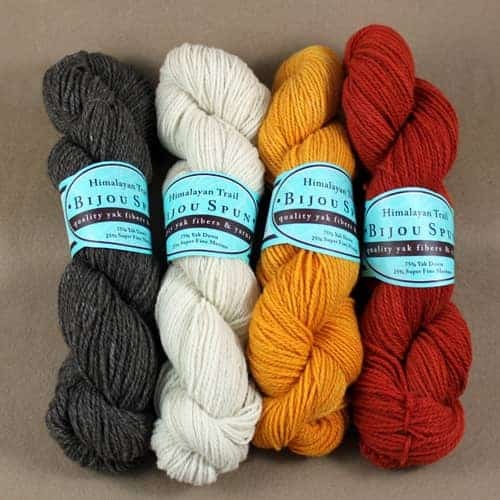 Bijou Basin Ranch has incredibly soft Tibetan yak yarns and yak blends, made with fiber from their ranch in Colorado, and I even saw some super luxurious qiviut last year. They have a special line of Outlander-inspired colorways, which would be perfect for the Subway Knits Outlander KAL that starts Oct. 24. You can also get bottles of their Allure fine fabric wash. BBR is also a trunk show sponsor, so you can learn more about them in this recent interview. Find Bijou Basin in Building C, Booths 13 & 14. Dirty Water DyeWorks was one of my favorite discoveries at my first Rhinebeck four years ago — and I actually finally finished a shawl in the two skeins I bought from Stephanie back then! 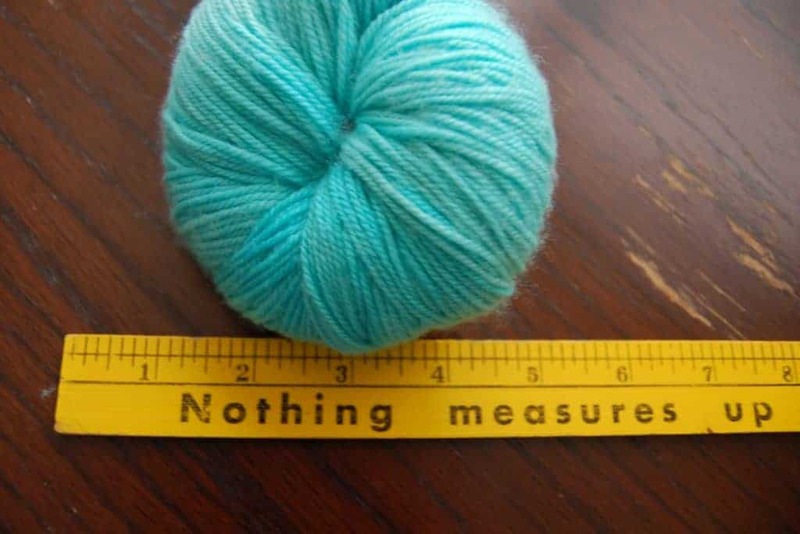 She has luxurious blends, including her popular Bertha MCN, as well as more exotic fibers, including a Polwarth and silk blend. Dirty Water DyeWorks is also in Building C, in Booth 42. Hampden Hills Alpacas is unique in that aside from hand dyeing yarn, they also raise and breed alpacas in Hampden, Massachusetts. 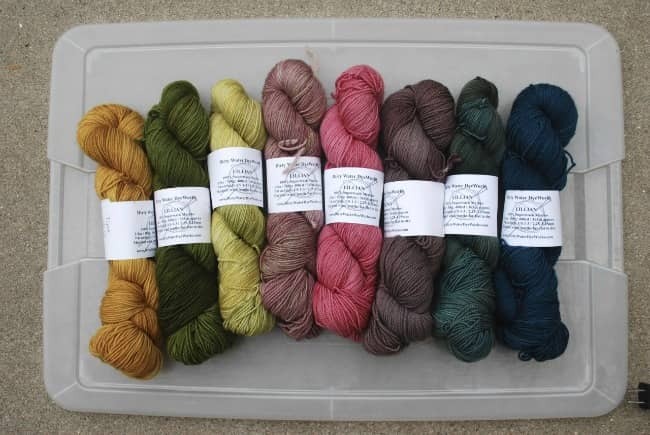 Erica has been bringing her hand-dyed and hand-painted alpaca and alpaca/silk blends to Rhinebeck for the last 14 years. Find Hampden Hills in Building 39, Booth 9. 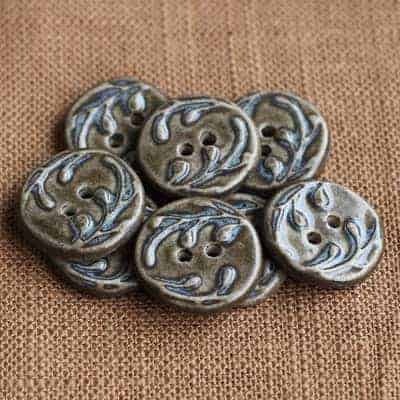 Melissa Jean makes beautiful ceramic and wood buttons. I adore her button earrings and always make sure to grab a pair when I’m at Rhinebeck. Find her in Building 36, Booth 9. You can see the regular festival map here. This entry was posted in Rhinebeck, Rhinebeck trunk show and tagged buttons, discount, indies, rhinebeck, rhinebeck trunk show, yarn.